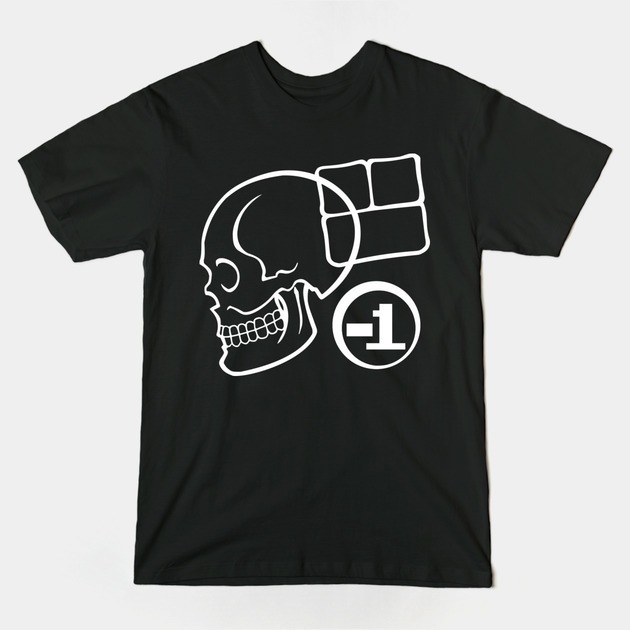 That’s the skull symbol offrom this site’s Minus World section, though slightly modified. It’s being sold through TeePublic and will be $14 until Monday (when the price goes up to an amount I don’t know because I’ve never done this before). I’ve wanted that sign on a shirt (and I rarely like my own work), so I’ve already ordered mine. Get yours here! 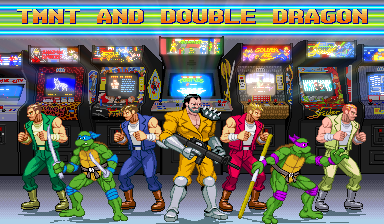 BTW: just in case you missed it, there was an update yesterday with TMNT and Double Dragon sprites. Be sure to check out the ArcadeQuartermaster site today to see a new batch of Taito game shrines, including the whole Rastan saga and Jungle Hunt! There’s a 10% off code for Playstation Network items, but the code expires this Monday (the 30th). BTW: I know the main menu header isn’t working and will work on it tonight. Fixed. TMNT: Leonardo and Michelangelo join their brothers in getting new sprites based on their 1989 arcade game fighting stances. Technos: new scratch-made arcade/NES fighting stance sprites of Billy and Jimmy Lee arrive to face off against Jeff (a.k.a. the Lee Brother headswap enemy from the arcade game and Super Double Dragon) and Boss Willy. Those new sprites have been added to the GFX Generators where the Lee Brothers and all four turtles have more extra palettes and an Ultra (NES) box was added to the GroupShot’s “Boxes, Flyer & Posters 160×192” set-up. Side note: this update means that I’ve finally made sprites of the whole original Double Dragon cast. 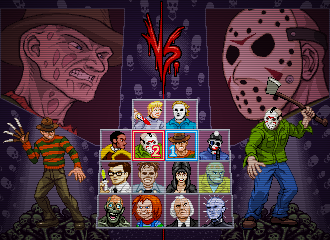 The ScrollBoss Shop page has been updated with the game-related prints I’m also selling on my Illmosis site, including the new Horror vs. Horror (still trying to find a good name for that) select screen. 8×10 and 8×11 prints are $6 each, two for $10, and three for $15. I’ll have more pixel art prints in the near future, so keep an eye out for those! The shop is (fictionally) run by Tina Fong, the newest fictional member of the ScrollBoss site team.